Most adults, aged 19 to 40, enjoy healthy eyes and good vision. The most common eye and vision problems experienced by people in this age group are due to visual stress and eye injuries. By taking proper steps to maintain a healthy lifestyle and protect your eyes from stress and injury, you can avoid many eye and vision problems. Eat Healthy — As part of a healthful diet, eat five servings of fruits and vegetables each day. Choose foods rich in antioxidants like leafy, green vegetables and fish. Don’t Smoke — Smoking exposes your eyes to high levels of noxious chemicals and increases the risk for developing age-related macular degeneration (AMD) and cataracts. Get Regular Exercise — Exercise improves blood circulation, increases oxygen levels to the eyes and aids in the removal of toxins. Wear Sunglasses — Protect your eyes from harmful ultraviolet (UV) rays when outdoors. Choose sunglasses with UVA and UVB protection, to block both forms of ultraviolet rays. Get Periodic Eye Examinations — Although vision generally remains stable during these years, some problems may develop without any obvious signs or symptoms. The best way to protect your vision is through regularly scheduled professional eye examinations. Eyestrain is a common occurrence in today’s visually demanding world. A typical college schedule or office workday involves spending long hours reading, working at a desk, or staring at a computer. A poorly designed study or work environment, with elements such as improper lighting, uncomfortable seating, incorrect viewing angles and improper reading or working distances can add to the visual stress. As the day progresses, the eyes begin to fatigue and eyestrain and discomfort can develop. A poorly designed study or work environment, with elements such as improper lighting, uncomfortable seating, incorrect viewing angles and improper reading or working distances can add to the visual stress. Position the top of your computer monitor below eye level so you look slightly downward when viewing the screen. This will help minimize strain on the eyes and the neck. If you are typing from copy, position the text at the same level as the screen. Adjust the screen brightness so it is most comfortable for you. Avoid glare on the computer screen by adjusting window curtains or blinds, repositioning the monitor, or using a glare reduction filter. Examine the lighting in your work area. Overhead lights can be harsh and often are brighter than necessary. Consider turning some of the lights off for a more comfortable lighting situation. Use an adjustable shaded lamp to provide specific task lighting as needed. Throughout the day, give your eyes a chance to rest. Take several minutes every hour to look away from the computer and allow your eyes to re-adjust. Consider standing up and walking around or doing alternate tasks that do not require extensive near focusing. Blink often to refresh the eyes and use artificial tear solutions, if necessary. When seated at a desk, make sure your feet are flat on the floor. Use a chair that is adjustable and provides adequate support for your back. When working at a computer, your arms should form a 90 degree angle at the elbows and your hands should be tilted up slightly to allow your fingers to travel freely over the keyboard. Making these simple adjustments to your study or work area can pay big dividends in terms of preventing or reducing eyestrain. If you continue to experience eye-related symptoms, you may have a vision problem requiring treatment. Ask your optometrist. The National Institute for Occupational Safety and Health reports about 2,000 U.S. workers sustain job-related eye injuries that require medical treatment each day. But more injuries to the eye actually result from use or misuse of products at home rather than on the job. 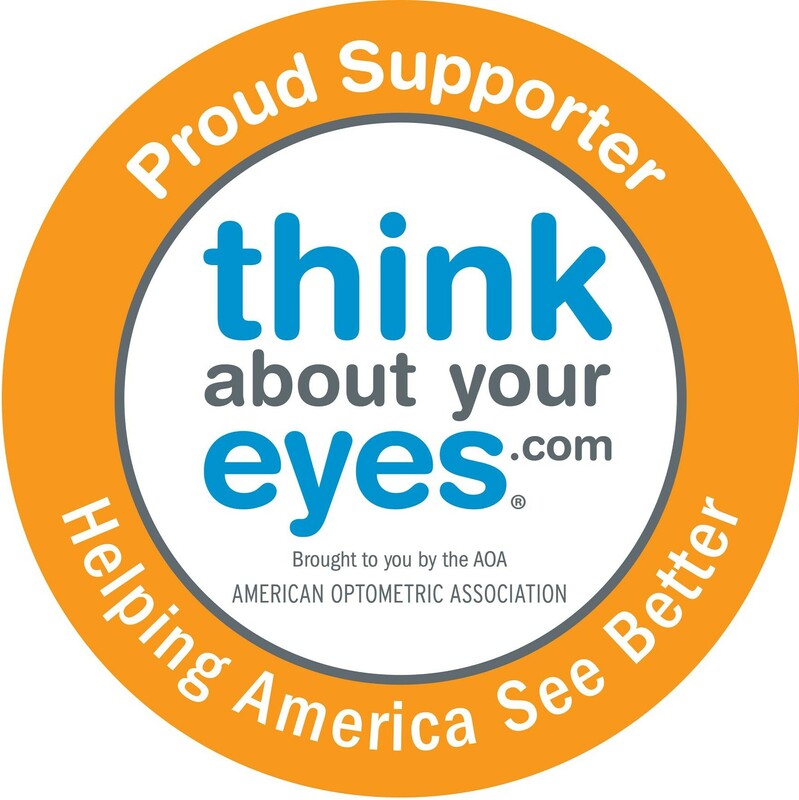 Nearly 60 percent of all product-related eye injuries occur in and around the home, according to Prevent Blindness America. Any injury to the eye has the potential for causing some vision loss or even blindness. Fortunately, most eye injuries can be prevented with the use of proper eye protection. Prevention involves being aware of the common causes of injury and knowing how to protect your eyes-at home, at work and at play. Proper eye protection can help to lessen or prevent serious eye injuries. Not all forms of safety eyewear provide the same level of protection from flying objects, chemical splashes or radiation exposure. Be sure to wear the appropriate protection for the type of eye hazards in your workplace. Using common sense can help protect the eyes at home. Following manufacturer’s instructions and safety warnings will help prevent many household product-related eye injuries. Non-prescription safety goggles are sold at many home building stores and hardware stores. If you wear prescription glasses, ask your optometrist to make a recommendation on appropriate safety eyewear for household tasks. Sprained ankles, skinned knees, and bruises are common occurrences when participating in sports. Unfortunately, so are injuries to the eye. Regular eyeglasses and contact lenses do not offer adequate protection from sports-related eye injuries. Special eye protection is needed for basketball, football, hockey, baseball and racket sports. Choose the right goggles or protective eyewear for your sport. Your optometrist can advise you on the appropriate eye protection. Even on an overcast day, harmful ultraviolet (UV) rays can damage both the skin and the surface of the eye. Over time, unprotected exposure to the sun can increase the risk of certain types of cataracts and cancers of the eyelids. UV, as well as blue light, has the potential to damage the retina, the light-sensitive lining at the back of the eye, which could lead to significant loss of vision. UV damage is cumulative, so it’s never too late to begin protecting your eyes from the sun’s harmful rays. Wear a wide-brimmed hat or cap. It can block up to half of the UV radiation, reducing the amount that may enter from above or around sunglasses. Look for quality sunglasses that offer good protection. Sunglasses should block out 99 to 100 percent of both UVA and UBB radiation and screen out 75 to 90 percent of visible light. Look for the AOA Seal of Acceptance for Nonprescription Sunglasses.